Generally, I write about strategic planning or operations improvement in higher education. Last month, however, I swam from Alcatraz to San Francisco. At first I didn’t know that setting this personal goal and the hours of swimming in the ocean as I trained for the event had any connection to my professional pursuits. I was wrong. After the event, I saw how my personal passion for swimming and for challenging my physical limits related specifically to my work. Six things I learned from the Alcatraz swim that transforms how I approach my higher education consulting practice. 1. Jump off the boat with abandon. 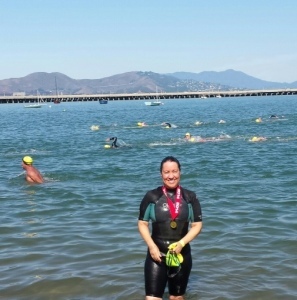 The day of the swim, I was confident in my ability to swim from Alcatraz to Aquatic Park. Turns out, the swim wasn’t the hard part of the endeavor. Jumping off the boat seemed more challenging. As my toes hovered over the edge of the boat deck, fear paralyzed me. I took a deep breath, looked up at the beautiful blue sky, then glanced down at swirling water. My heart beat fast in anticipation. The unknown energized me, and I leaped. I was exhilarated – not afraid. My attitude during the whole of my training for this event was that it was a “swim”. I learned that, once I hit the water, it became a “race.” My love of “the race” propels me forward in all that I do, in a most positive and spirited way. Racing requires strategic thinking and a methodical approach. There are always unknowns, but it’s ok to not have all of the answers- adaptability and creativity are key elements. Lesson: Take risks – don’t look back. 2. Do the work- stroke, breathe, stroke, and breathe. I’m an avid pool swimmer who had a fear of the unpredictability of swimming in the ocean. I feared shark attacks, stepping on stingrays, jellyfish stings, ocean currents, swells and surf. Some of my fears were irrational; some were a matter of awareness and spending time swimming in the ocean (much different from swimming in a pool). I substituted pool workouts for coached ocean swims and in the process learned to accept the unknowns. On the other side of all the preparation and practice I am a converted open water swim enthusiast. Lesson: Never underestimate the importance of preparation and practice. 3. Keep sighting the course ahead. In open water swimming, it’s critical to sight a landmark to stay on course. Every 20 or 30 strokes I looked to sight two tall buildings behind Aquatic Park (the finish line), ensuring I was on course. If the current took me too far to the right, I swam in the direction equivalent of 10:00, or 2:00 if I were too far to the left. Sighting on a consistent basis kept me on track for a more efficient, linear swim toward Aquatic Park. Lesson: Goals need to be tangible- check on progress regularly. 4. Stop and look around. In the middle of the bay, I paused to take in the moment. Behind me Alcatraz, on either side of me the Golden Gate Bridge and the Bay Bridge, in front of me, the city of San Francisco. The sheer size of these iconic landmarks, treading water in the middle of the bay on this gorgeous sunny day: I was in awe of the beauty . As I started swimming again, I thought “not many people have the opportunity to enjoy the view from where I am – swimming in the bay.” My perspective was forever changed from that moment forward. 5. Cross the finish line with a tear and a smile. Lesson: Relish in the success. Lesson: Smart, confident and directed- that’s who I am. You’ve just read my professional and personal manifesto. 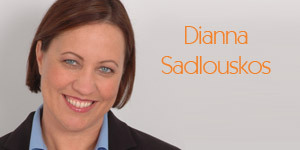 Would you like a fresh perspective on your campus or technology strategic plan? Let’s get the discussion started- contact me at [email protected]. Dianna! 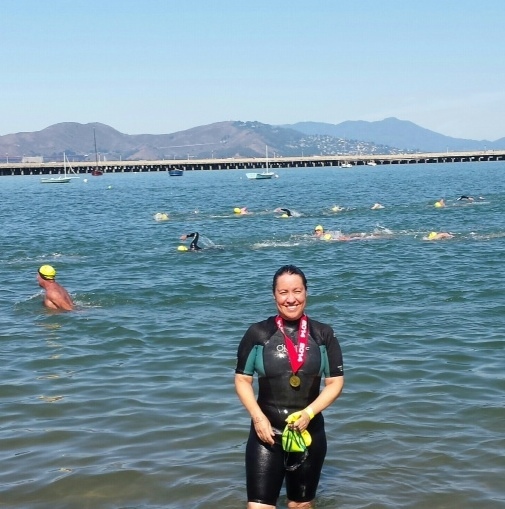 I just read your blog on the Alcatraz-SF swim and am so impressed. Aren’t you wonderful! These are a great set of principles that ring true, both as a refreshing look at personal leadership, and as a view of the human and humane side of strategy focusing on a goal. Kudos again on your success, and even more thanks for sharing your healthy – challenging example of your Alcatraz to San Fran swim – a great fitness and overall goal model for us all.